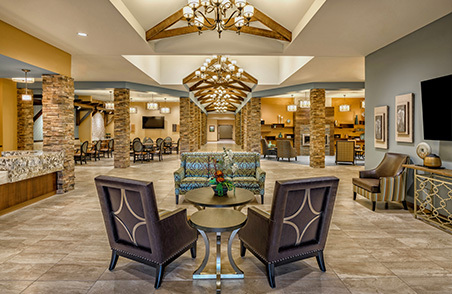 Arthur’s Place Memory Care Center is designed to provide our memory care residents with their own comfortable, friendly, home-like environment. It is a special place where every detail has been considered for your loved one diagnosed with Alzheimer’s Disease or dementia. 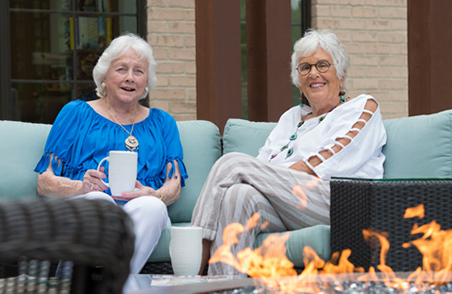 At The Normandy, you can settle into a comfortable, friendly, home-like environment where every detail has been thoughtfully considered. 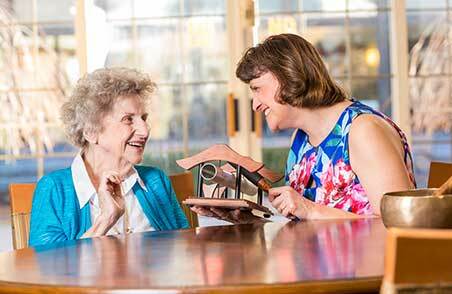 The memory care staff is Certified Dementia Practitioners, specializing in Alzheimer’s and dementia care, and their unique sensitivity and skills help make each day meaningful for your loved one. Normandy staff ensures that residents are safe and comfortable in their environment while enjoying the amenities on campus, including state-of-the-art Snoezelen rooms in both buildings, and outdoor enclosed courtyards with beautifully landscaped designs. What is a Snoezelen room? Using a person-centered approach, caregivers are available 24-hours a day to provide personal and psychosocial support, while coordinating medical care and communicating with the residents’ healthcare providers. Designated activities professionals are on site to provide individualized, programming and interactions where residents can reminisce and enhance their life skills. Arthur’s Place carries the name of its founder, Arthur Orlean, who brought new life to The Normandy campus as its caring owner several decades ago. It is fitting that we honor Arthur’s legacy and the positive impact he continues to have on The Normandy and its residents.